There are many concerns when moving house; chief among them is ensuring all one’s anime waifus figs are packed properly in their inscrutable tombs of moulded plastic, sheets of film, and implausibly large boxes. 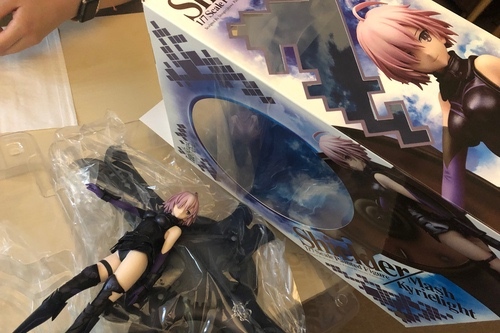 Above is the Mashu Clara and I bought in Osaka being packed away in her gigantic rectangular prism. One down, a few million more to go before dinner.